Australia's latest number three batsman Marnus Labuschagne has said the first innings is vital to the result of the fourth Test and that they need to copy his Indian counterpart Cheteshwar Pujara to bat time as the game progresses. 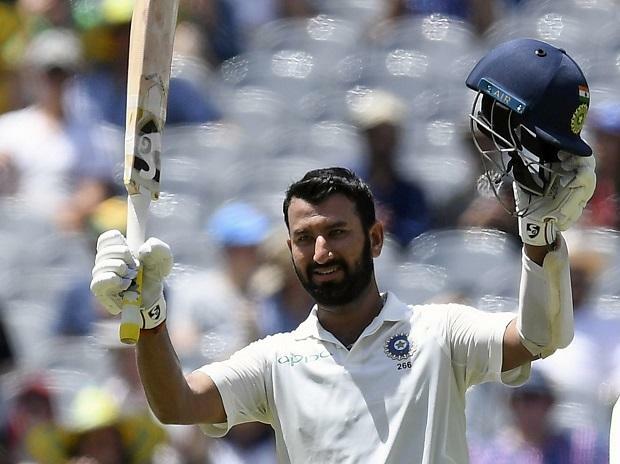 Pujara scored an unbeaten 130 as India finished day one at 303 for four. "He was very classy. He has time and patience around at the crease. The way he batted is something I personally would take a lot from. He just batted a lot of time and he has done that through the whole series. And that's what we are going to need to do to step up to put a big score on the board," he said on Thursday. This was Pujara's third hundred of the series. He made a century in the first innings of the opening Test and then struck another in the third match. "We are only 2-3 wickets away from being able to break it open and if the boys put the right ball in the areas tomorrow, I am confident that we can get early breakthroughs and get them out for under 400. "The wicket stays good for three days and deteriorates quite fast. Then the game moves quickly at the back end and it's going to be the same again, so the first innings will be key for us," he added. The leg-spin all-rounder bowled to Pujara and was smacked for three fours in the very first over. He did return to bowl three more overs in the day. Talking about his role in the side, especially being promoted to number three in only his third Test, he said, "There was a little bit of pressure. First ball came out alright and then I dragged down a few balls short. I was positive when I came back for the last three overs and sort of tied a bit of pressure. "I know my role tomorrow is to keeping it tight at that one end, and giving pacers a rest to make sure they can come back fresh for every spell." India lead the four-match series 2-1 after wins in Adelaide and Melbourne, while Australia won at Perth. "I've pretty much batted most of my time at Queensland at three and it does go out in a position that I am comfortable with. It's going to be a good challenge tomorrow and one I'm looking forward to. "My role at three is to play my game and to make sure that I am batting as much time as possible and putting us as a team in a good position. That's how I'm going to approach it," he signed off.